Registrations are underway for the 5th Travel Trade Athens, the signature annual trade event of the City of Athens that will showcase the Greek capital as an attractive cultural, artistic, and modern, city break and Meeting Industry destination. Organized by the Athens Convention and Visitors Bureau (ACVB), in cooperation with the European Tour Operators Association (ETOA), the event will take place during October 2-3 at the emblematic Hotel Grande Bretagne, in the heart of Athens. In this fifth consecutive event, Travel Trade Athens will once again host selected international professionals, representing tourism organizations and agencies, conference and event organizers, as well as journalists from renowned online and offline media, through a fully hosted buyers program. 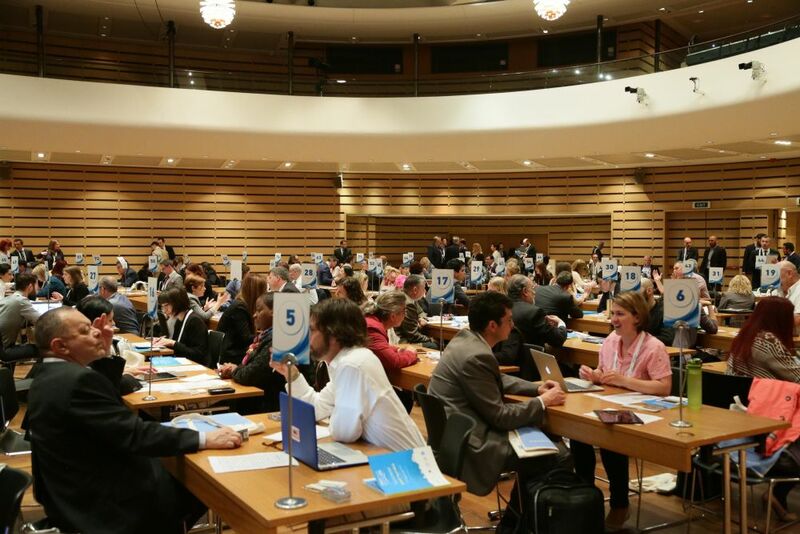 The event will include pre-arranged B2B meetings with Athens’ and Greece’s foremost tourism professionals. The program also includes thematic fam trips and experiences of Athens during which the participants will have the opportunity to experience firsthand the city of Athens and the services offered. 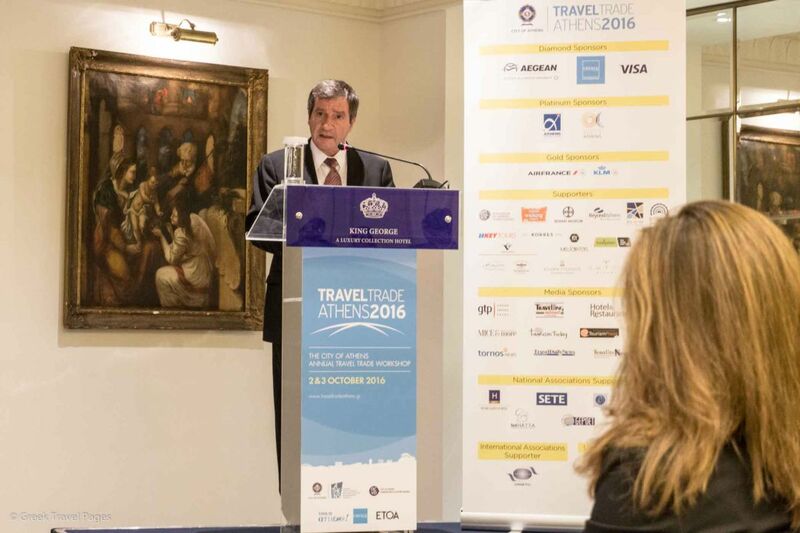 Athens Mayor Georgios Kaminis at the 4th Travel Trade Athens event. Travel Trade Athens 2017 offers a fully hosted buyers program that includes international air travel, accommodation and an exciting social program. The closing date for registrations is September 1, 2017. For further information, press here or contact your ACVB team representative Ms. Konstantina Roussou at traveltrade@athenscvb.gr or on tel.+30 210 3312002 / 210 3253123.